James T. Harper, 74, of Sellersburg, Indiana, passed away on Sunday, January 13, 2019. He loved music and enjoyed the outdoors, but his greatest love of all was his family. James was a member of the Sons of the American Legion Post 204 in Sellersburg. He was born on September 19, 1944, in Louisville, Kentucky, to the late Elza and Leavie (Pruitt) Harper. Along with his parents, he is preceded in death his 11 brothers and sisters. 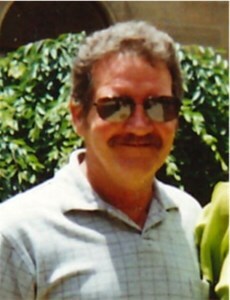 James is survived by his loving wife, Sharon (Knaebel) Harper; daughters, Kimberly Ritchie (Danny) and Tammy Wilson (Darrell); son, Eric Harper (Lori); stepdaughter, Angela Hogan; stepson, Donnie Slucher, Jr.; 8 grandchildren; 8 great-grandchildren; brothers-in-law, Bob Knaebel (Susan) and David Tyree; sister-in-law, Susie Knaebel (Dan); and many nieces, nephews, and other relatives. Visitation will be from 10:00 a.m. to 12:00 p.m. on Friday, January 18, 2019, at Newcomer Cremations, Funerals & Receptions - New Albany, (3309 Ballard Lane). His Memorial Service will be at 12:00 p.m. on Friday at the funeral home. Cremation was chosen following James’ wishes. Please consider sharing a memory of James or leaving a special message for his family by clicking the "Share Memories" button above. Add your memories to the guest book of James Harper.